As some of the readers of this blog are aware, I am a Spanish lawyer based in Manchester, UK. 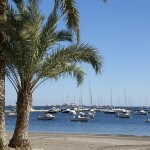 Most of my clients are British with interests or assets in Spain. I think I have lost track of the number of Spanish wills I have drafted in the last 7 years since I came to the UK. I would say that the total number is getting close to 100. In many occasions, clients ask for guidance on the tax side. You cannot do many miracles with Spanish wills as there is no nil rate band in Spain and Trusts are not recognised by the Spanish legal system but you can still manage to minimise your client’s tax liabilities if the will is properly drafted. However, in many occasions some clients are reluctant to listen to your advice and end up signing the will as they please. This is absolutely fine with me. It is their right in the end and their wishes you should always be respected. However, as a lawyer you always feel that the decision taken may not be the most appropriate from a legal or tax point of view. This is why I take the opportunity to write about some of the most common mistakes that I have seen when drafting Spanish wills. The first and perhaps most important is the usual misconception that the surviving spouse is Spanish Inheritance Tax exempt. Many English clients extrapolate the situation in England, where the spouses do not pay tax, to Spain, thinking that the surviving spouse will not pay Inheritance Tax and then leaving the property on the second death to the children. This is a big mistake because the surviving spouse does pay Inheritance tax in Spain. In fact, the surviving spouse only benefits from an allowance of €15,956.87. Then on the death of the surviving spouse, the children or whoever inherits the assets will pay inheritance tax again. A good way to avoid the above is setting up a usufruct-or life interest- for the surviving spouse. This means that the surviving spouse will inherit the right to use the asset and no one will be able to sell it without his/her consent. At the same time, the inheritance tax to be paid by the spouse will be much lower than the tax that would be paid should he/she inherit the asset in the first place. This system also allows the final beneficiaries, usually the children, to inherit the asset in stages and space their tax liability. Another option, although this should only be used when there is a good relationship between the different members of the family, is to leave the asset directly to the children. This is quite useful in those cases where a couple with children own a property in equal shares. The spouses can leave their share directly to the children on the understanding that the surviving spouse already owns 50% and therefore the children will respect the parent’s right to use the property. This option should never be used when problems can be expected from some of the beneficiaries, ie. one of them is willing to sell the asset or by no means should be used when the children are not the issue of the surviving spouse. I realise that I have written too much. It is easy to extend your posts when you are enjoying the subject but I do not want the posts to be long and boring comments on the wonders of Spanish wills. I will therefore continue this topic on my next post. That will be next week.